I started The Tao of Tea with a love for the leaf. While travelling with my family in the Himalayan mountains of India in 1997, I dreamed about the possibilities that tea offered. For me, it started a journey into the essence that it exudes and the cultures it connects. The dream evolved into a business and the love grew even more. My travels to the source, friendships with tea people and living with wellness have been very rewarding. Over the years, I have been fortunate to be joined with people that share a similar love and philosophy about tea. Our commonality is based on recognizing the purity in the leaf, the surroundings it grows in and the people who nurture it. It has become the purpose of our company. I’ve had good luck with The Tao of Tea’s Pu-erhs so far and thought I would share my findings on their Chrysanthemum Tuocha today! The 1st infusion is somewhat light in color and smells like a lighter-scented pu-erh. It tastes like a lighter black plain tea. The 2nd infusion is darker in color and in aroma. It smells like pu-erh but with a little floral aroma as well. It tastes quite good…both hot and cold. 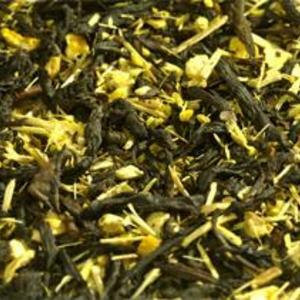 It tastes like a medium flavored black tea with a slight sweet-floral taste. The 3rd infusion is tremendously dark and smells more like your stereotypical pu-erh. It’s bolder in flavor and almost coffee-like…in taste. As for the 4th infusion it was still very dark in color and in flavor. It tastes more pu-erhy now and more like a muddy/earthy/wormy type. Overall I did enjoy this tuocha and have found most if not all of the Tao of Tea TEAs I have tried to be very tasty and intriguing! 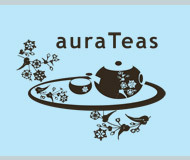 We at [auraTeas] strive to bring the best tea to the world, and we hope you could to join us. We insist to purchase from tea growers around the world to insure the quality, and show our respect to tea growers and masters. In tea, we live. OK… it’s no great secret that I’m just a little scared of Pu-erh. I had some not so successful experiences with it in the past and the memories of those bad experiences taint my current day encounters with the tea. Slowly, though, I find myself getting over those bad times, and the more I try it, the more I really enjoy Pu-erh! This is a lovely Pu-erh from auraTeas. It comes packaged in a cotton-y paper, and it’s shaped like a bowl (a Tuocha). I placed the little Tuocha in my gaiwan, and added some near boiling water for 15 seconds just to awaken the leaves. Then I began brewing with near boiling water – 30 seconds for the first infusion, and 45 for the next… and so on. The aroma of the brewed liquor is a bit intense. It is earthy, and it can be a little off-putting to those who don’t really like earthy flavors. But, rest assured, that the flavor is not quite as earthy as the aroma would lead one to believe. For those who might find the aroma off-putting, though, I would recommend not inhaling the aroma just before taking a sip (this is something I often do when sipping tea, as it usually enhances the experience). I find that when I do this, the earthy tones of the tea are brought into focus. The tea is exceptionally smooth. 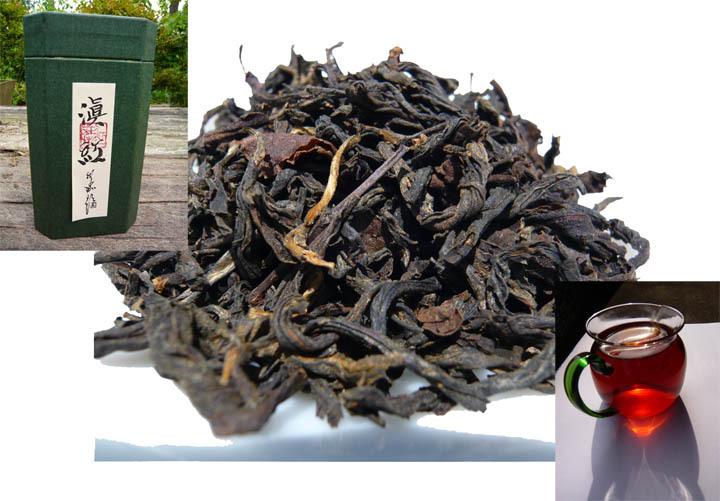 One might think from the fragrance of the tea that it would taste a bit more rough or rugged, but, this is anything but! It has a deep, profound sweetness to it that is quite enchanting. There are some earthy notes to the taste, but they are not nearly as pronounced as they are in the aroma. I love the caramel-y sweetness to this tea! This is a Pu-erh I would recommend to anyone who is finding themselves curious about Pu-erh. The tuocha makes it very easy to steep (and it’s kind of fun watching it steep too!) and you just may find that you really like Pu-erh. I also recommend sipping this tea while enjoying a piece of chocolate (dark chocolate, if you please!) – it is a perfect match! Then again, what doesn’t taste better with a little chocolate? This Pu-erh is so unlike other pu-erh teas that I’ve tried! I’ve said it before: I’m not a big fan of Pu-erh. I am, however, acquiring a taste for it. And I’ll say this – if this were the first Pu-erh tea that I tried, I don’t think I would have disliked it for so many years! This is good! 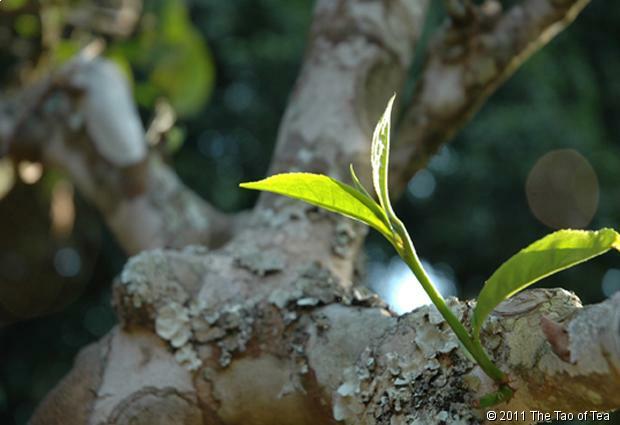 The dry leaf lacks the strong earthy aroma that many other Pu-erh teas possess. It does have a slight earthy quality to the scent, but, not nearly as strong as other Pu-erh teas I’ve experienced. Likewise, the brewed liquor – while slightly more earthy than the dry leaf – is still not nearly as earthy as other Pu-erh teas. This Pu-erh reminds me more of a black tea than of a Pu-erh, but without the bitterness that sometimes accompanies black tea. This is very smooth and rich in taste, and brews up very dark (most Pu-erh teas brew up darker than the average black tea). There is an earthy note to the taste, but again, like the aroma – it isn’t as earthy as a typical Pu-erh. The flavor is sweet with notes of flower and even hints of dark cocoa in the background. There is a deep sweetness in the background that reminds me of burnt sugar. There is a damp woodsy note to it as well. Overall, this is one of the most pleasant Pu-erh experiences I’ve ever had (if not THE most pleasant). I really like this one, and it is one that I could easily enjoy on a daily basis – unlike a typical Pu-erh which is something I drink only on occasion. Like I said at the start – this is a Pu-erh that is like no other that I’ve tried! 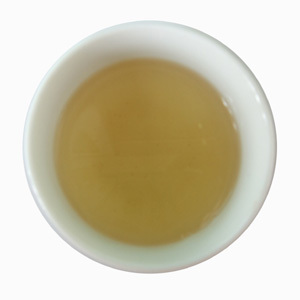 Mini Puer Tuocha has a characteristic full-bodied and earthy flavor. 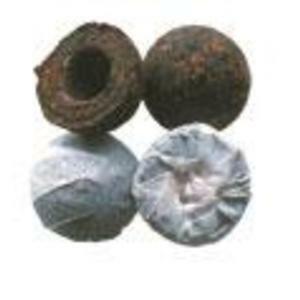 Can endure long steeping times without gaining any astringency and can be re-infused at least three times. For the 1st infusion I went 2 minutes and found that the post infusion liquid color was a Lighter Brown. The aroma isn’t as wormy/fishy as most pu-erhs and I was very happy about that! The taste was VERY velvety and smooth and lighter tasting with slightly earthy yet honey and cocoa type flavors mixed in. My 2nd infusion I went with 3 minutes and thought it was much darker in color. It had a bit more earthy/wormy scent to it and the taste was a hint sweeter. It was still quite velvety and smooth. At this point I KNEW this little guy was the “Little Tuocha That Could” and I was eager to taste the differences from one infusion to another! As for my 3rd infusion I decided to go with 4 minutes. It was even darker than the first two color-wise! This specific infusion did smell earthy but not wormy at all. It was a bit sweeter than the 2nd infusion but there is a ricey-type taste hiding underneath this time. It’s interesting…the aftertaste is a little nutty but malty and more like a bold black tea. I moved on to a 4th infusion and stuck with the 4 minutes. I found it to be jJust as dark as the 3rd infusion. It smelled like black tea with a hay-like aroma as well. It was more woodsy-tasting and more malty and less sweet but still velvety. This is a Very Sturdy Tuocha! And darn tasty, too! If you are into playing around with Pu-erh’s – I would suggest you spend some time with this one!